For the most part, you don't need any special accessories to play the vast majority of Wii Console games. You just need the Wii console. When you buy the Wii it comes with one Wii Remote, the Wii’s primary controller, which looks something like a television remote, and a Wii Nunchuk, a device that attaches to the Remote with a cord and is held in the opposite hand. 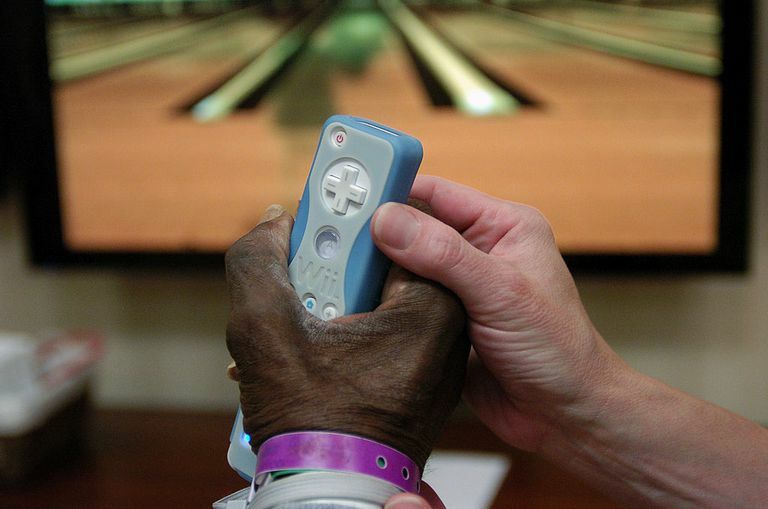 The Nunchuk is not used for all games, but it is used for many. The Wii Remote is always necessary. Many games have a multiplayer mode that allows up to four players to play simultaneously, so it’s a good idea to have at least one more Remote and Nunchuk so a friend can play along. You can either buy Nintendo’s Remotes and Nunchuks, or try third-party controllers from companies like Nyko. Third-party remotes are often less expensive, although some people complain they are not as reliable. Some games require more than just a Wii Remote and Nunchuk. The most common necessary accessories are the MotionPlus and the Balance Board. This should be indicated on the front of the game box by a picture of the necessary peripheral encircled in the text telling you it is required. For example, Wii Fit Plus shows a picture of the Balance Board with a circle around it that says "Requires Wii Balance Board" and text next to it that says the same thing. MotionPlus games can be played with either the MotionPlus add-on attached to a Wii remote or with the MotionPlus-capable Wii Remote Plus. Other games will just say they're compatible with a peripheral. For example, "Punch-Out!" indicates that it is "Compatible with Wii Balance Board," which means the game is designed so you can play it without the balance board, but if you have it you can do extra things in the game. Sometimes those extra things are very important, sometimes they're not. It's always important to do a little research and check out reviews of games to gauge how important these compatible accessories are before you invest in all the accessories. It’s worth mentioning that you can’t just buy a Balance Board by itself; it is only packed with "Wii Sports" and "Wii Sports Plus." Some accessories are always optional, such as the Wii Wheel and the Wii Zapper. The Wii Wheel is a wheel shell, which means it is simply designed to encase a remote. Most racing games will have a notice on the front stating that they are compatible with the Wii Wheel. Wheels are never necessary to play a game, and they don't add much in the way of functionality, but they do add to the feeling that you are actually driving, so many people prefer to use them. The Wii Zapper is similar, a gun peripheral that holds a remote and Nunchuk and is used in many shooting games like "Call of Duty: World at War" or "Resident Evil: The Darkside Chronicles." Once again, you don't need it, but people feel holding a remote shaped like a gun adds to the experience. There are also add-ons for many sports games and mini-games. Sets like the "Nerf Sports Pack" or Penguin United’s MotionPlus-compatible Active Motion Bundle for "Wii Sports Resort" come with attachments to turn your remote into a golf club or a ping-pong paddle. You never need them, but they can be fun additions. Some games have their own controllers. These include the "Rock Band," "Guitar Hero," and the "Dance Dance Revolution" series. Often these games are bundled with their controllers, but not always. One would expect such games to state on the box what controllers they need, but you may be surprised to see no such indicator on the cover of "Lego Rock Band." Once again, it’s a good idea to read reviews of games before you buy them. You can also try asking a salesperson in a games store, although there is no guarantee they will know what they’re talking about, but most of should know something as important as whether a game needs a guitar controller.